I used to do cross stitch - when I was single and had free time - but I never took on a large project like this one. Your work is absolutely gorgeous!! Is this pattern even around anymore? I read a blog that said they stopped making the kit, buuuut....I keep all of my patterns. My daughter has been looking for that "perfect tree skirt" for a few years now. She saw your blog and this skirt and fell in love! I've spent some time trying to find the pattern with no success. 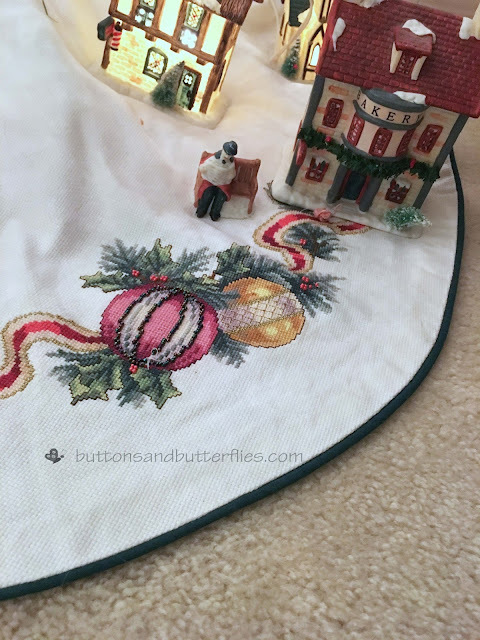 Any ideas where I might be able to find this pattern? I heard it was out of print. I usually keep all of my patterns and can do a search. Please email me directly so I can email you back (you are a no reply commenter so I can't reply back via email)!!! Hope you are doing good? 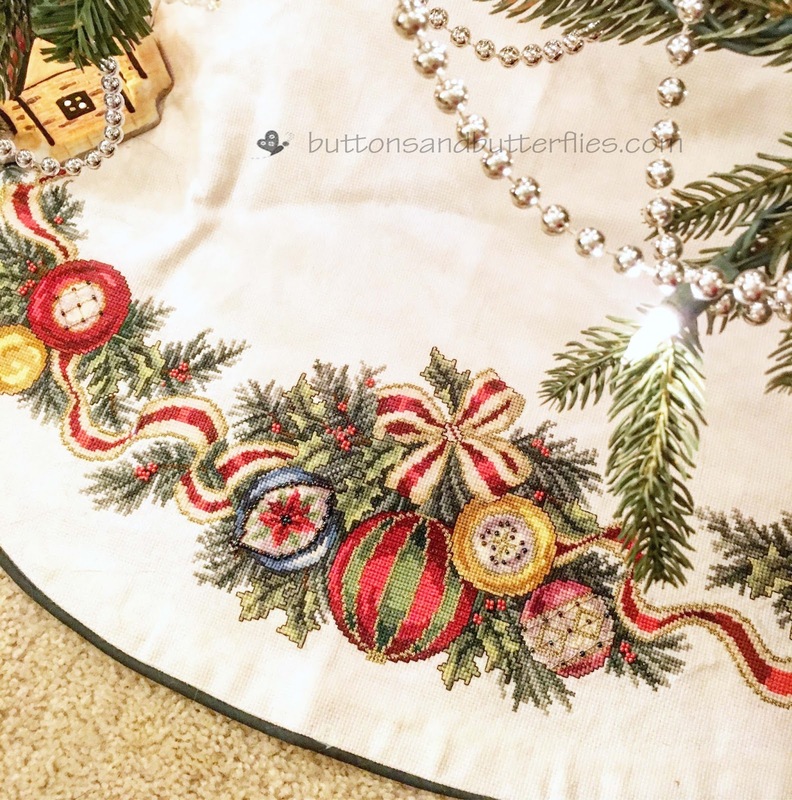 I just wanna know if you still have the patterns of this lovely Christmas Tree Skirt? If you do, is it possible to get it please? I’d love the pattern if you still have it! !